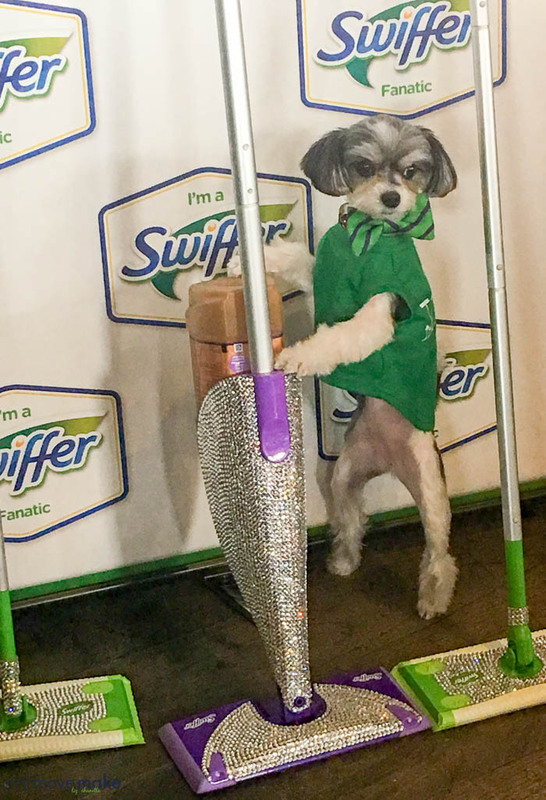 I’ve always been a Swiffer Fanatic (at heart), but this year I became an officially partnered Swiffer Fanatic so now I can share the ins and outs, the new innovations and product improvements and what goes on behind-the-scenes when Swiffer Fanatics (and their pets) get together. 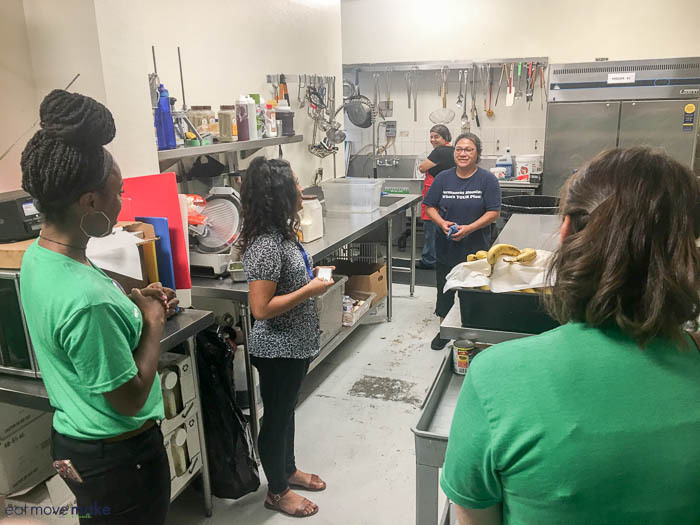 This year’s immersion event took place in Los Angeles and included some exciting Swiffer news, community outreach, good eats and a whole lot of fun. After all, how can you not have fun when you’re surrounded by people who love Swiffer products as much as you do? 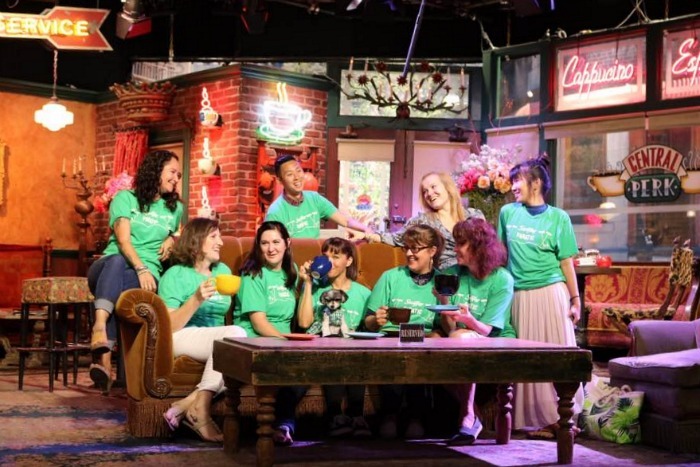 So here’s how the Swiffer Fanatic 3.0 Immersion went down this year. This is BIG stuff. Literally. The Swiffer XL (which is 1.5x bigger for faster cleaning – yay!) now has XL wet cloths that fit it perfectly! It used to be that you could use two standard-sized sheets together and it would work, but it was a bit clunky. Now the XL sheets are custom-sized to make cleaning (the most “delightful” part of adulting) even easier. Look for those to be available on the Swiffer website and in stores yet this year. We also got a sneak peek of a few more things coming down the Swiffer pipeline in the Spring, and I’m so excited about it, but it’s a secret for now. I’ll tell you when the time is right though, I promise! 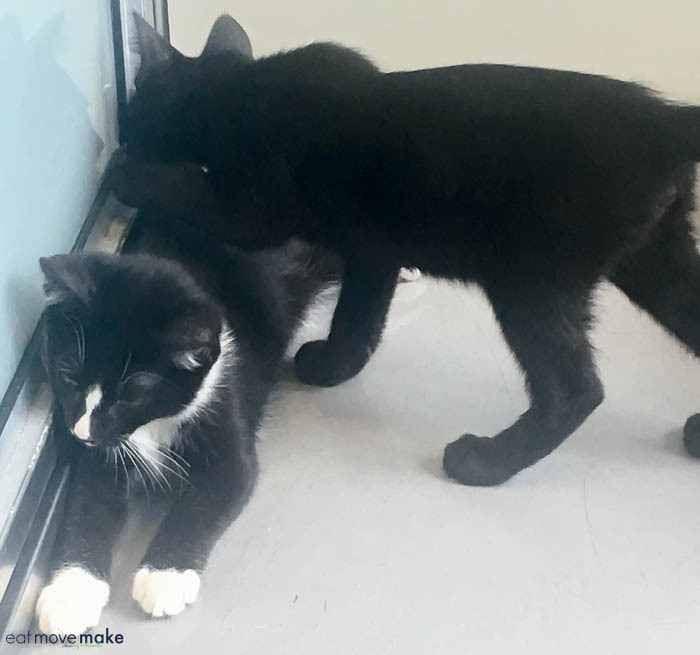 Although we did spend time playing with the animals, we also made adoption signs for them and did a little Swiffer-ing to help clean up the building. Next, we went to LA Family Housing where the goal of the organization is to help people who are temporarily un-homed transition back into permanent housing again. Some of us made gift baskets and some of us volunteered to help at mealtime. I spent time in the dining room chatting with the residents and hearing their stories. They’re amazing people who’ve suffered some setbacks but are determined to find their way again, and LA Family Housing is doing remarkable things to encourage it. Thank you, Swiffer for supporting animal rescue and LA Family Housing and allowing us to be a part of it. I’m not talking about Julie Andrews and that wimpy do-re-mi business. Pssht. Swiffer is tough, bold and confident so when Swiffer Fanatics sing en masse, we do it rap-style. I kid you not. 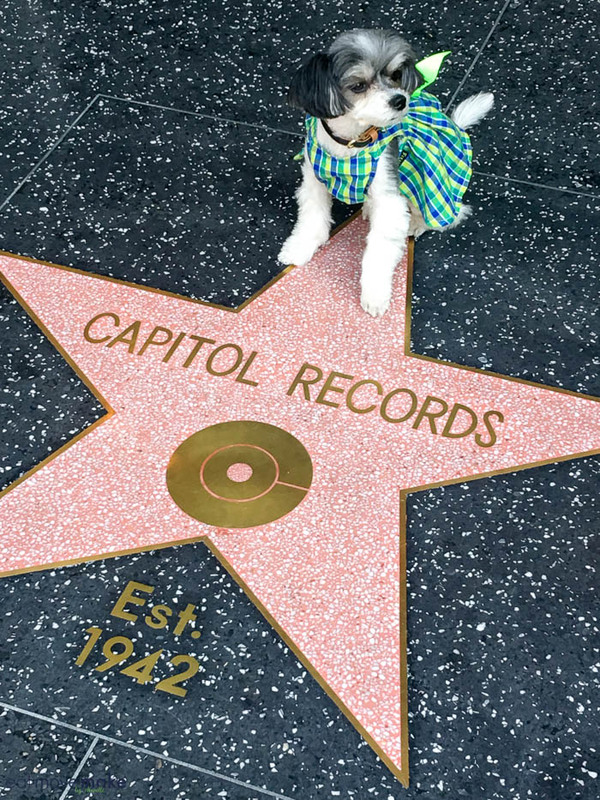 We actually went to Capitol Records in LA and recorded a rap with the lyrics, “Swiffer Cleaner, Swiffer Sweeper… Swiffer Wet Jet“. But I can rap it. 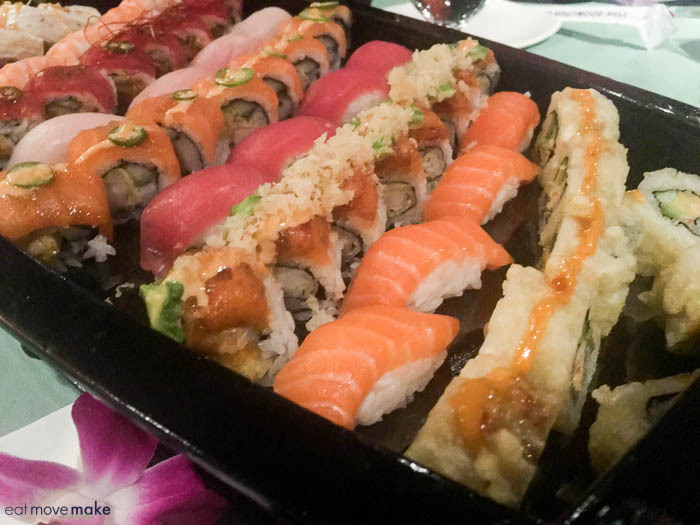 We had the chance to enjoy dinner at one of Hollywood’s iconic restaurants – Yamashiro Hollywood. Not only does it boast an absolutely stunning view of LA from its spot on the Hollywood Hills, but it serves fresh and exquisite sushi creations to die for. 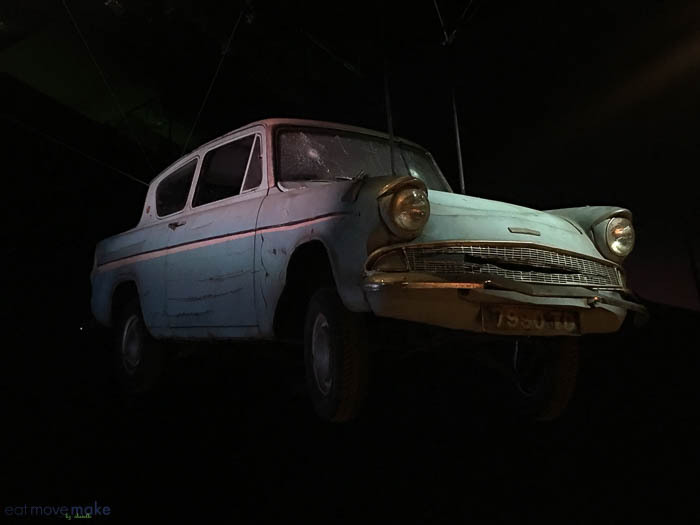 We also went to Universal Studios where we toured the backlots, explored Harry Potter memorabilia, the DC Universe exhibit, Batmobiles and the interactive Stage 48 where we had the chance to reenact a scene from Friends. So much fun! As you can tell, it was a great time from start to finish. Thanks so much Swiffer for allowing me to join this fantastic group of Swiffer enthusiasts. Until I see you all again, I’ll just keep on Swifferin’ North Carolina-style. Visit Swiffer.com for more info on the complete line of Swiffer cleaning products. I love all of the Swiffer products! Looks like they have some great things in store! I’ll have to keep an eye out for them. What a fun trip! That first pic includes some really blinged out Swiffer. Yah for wet cloths that fit the XL perfectly. Can’t wait to hear what else Swiffer is coming up with. Hey! How come I didn’t get an invite to this Swiffer enthusiasts meeting? lol Glad to hear that you had a great time! I NEED that blinged out Swiffer! So cool! This is such an amazing event – we use their products ALL over the house, they are really the best! I LOVE cats too! I could totally use that new XL pad in my living room. It’s great to see the company trying to make a difference, I wish more companies would. Oh my goodness this event looks so cute and look at that cute dog!! Soo sweet!!! Well, who would have thought to bedazzle a Swiffer.. ha! I love it. I use Swiffer on my tile floors. They are a lifesaver. I love the sparkly swiffer. I am going to have to get myself one like that! Wow this looks like an amazing event. That bling swiffer is adorable! I totally need one. With 7 kids, 3 dogs and 3 cats I could not live without my swiffer. Looks like this was a really great and fun event! I love Swiffer. Which is great for my husband and son to do some of the cleaning too. Easy and convenient. I didn’t think I could love Swiffer more, but now I do! Not only is the bigger Swiffer a get addition, but they are helping with animal rescue too! That is a big plus in my book! I have my original Swiffer…the one I’ve had for years. I think it’s time to upgrade to the XL! Random side note: my friend’s mom is the one responsible for adding bling to the Swiffers! I love Swiffer products. My favorite is the dust mop. I can’t live without it. By the way, your dog is so cute! Swifter fanatic here too! I need an XL in my life and can’t wait to here what else is coming! This sounds like such a fun trip/event. I probably would have come home with at least one of those cute animals! 🙂 The new XL Swiffers look like a great way to get floors clean fast. What a fun event and I love all swiffer products. And wait was that bling on there? So coo! Looks like you had a great time! I am a big Swiffer fanatic especially with two kids. I definitely need to get a Swiffer XL! That would be great. It is wonderful that they give back too. I love brands that work to help others! We use Swiffer in our house too and it’s so convenient. Who knew it can be even better with all that bling! I love swiffer products. I have a few of their products. I use them often too. They do a great job on the floors. Well, now I feel like I need to bling out my Swiffer too! As one who has almost all hard flooring, my Swiffer is a sanity saver. 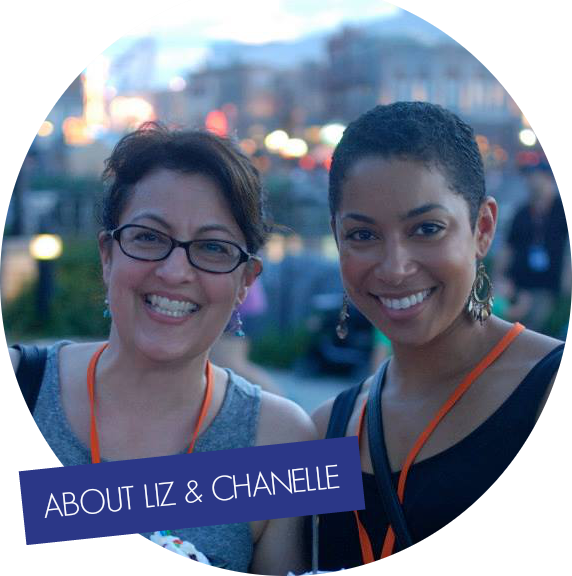 What a fun event for you and your fellow blogger pals. I cannot even deal with how cute the dogs are! Super adorable!! That’s some great news! I love my Swiffer and have had it for years! That sounds like a fun event. I know we are big Swiffer fans. Awesome event to attend! I need to pick up a Swiffer today. Anything to make my life a little easier is a winner in my book. Swiffer is such a great brand! Love their products and the convenience that it brings! Looks like you had an amazing time with fellow bloggers! That’s such an awesome getaway! This was such a fun trip. I am pretty excited to use my Swiffer XLs and get the cleaning done faster. Sounds like a really nice event. We use the swiffer duster but have never tried the mops. Will have to get one. This looks like it was a great event. I need to get The Swiffer XL for my house. I will have to get the supplies I need to bling mine out. This sounds like such a wonderful event. I love my Swiffer. I use it several times every week. It’s such an easy and effective way to clean the floors. Yay! Thank you Swiffer, now my kids will be happier to clean because of the XL size! They already have cleaned more when being able to use Swiffer products, this will just inspire them some more! This looks like such a great immersion event! I can’t wait to follow your blog for all the newest products! With two very hairy dog she I could not survive without my swiffer! What a fun event! I need to pick up a Swiffer when I am out next time! They are a great thing to own for pet owners. Swiffer is such a great brand. I love that they now have the XL, this will make cleaning quicker and easier for sure. I will have to check it out at the store! Im totally digging the bedazzled Swiffers! It definitely looks like something I would do! ha! PS – I didn’t know you were in NC! So am I! It sounds like you had a great time! We’ve got a lot of Swiffer products in our home. They’re just so convenient. Swiffer products are a staple here in our home, especially their dusters! I love knowing that we support a company that makes an effort to give back too. Wow! Stiffer puts on quite an event! I LOVE my Swiffer, personally. Looking forward to seeing what they have coming down the pipes! That sounds like such a fun event. I would be LOST without my Swiffer! I use mine every single day. That dog made me spit out my coffee. Do you think I could train my dogs to use the Swiffer? It is their mess after all. Pet and swiffers are like peanut butter and jelly. It’s the only way. Swiffer does make cleaning a lot easier. 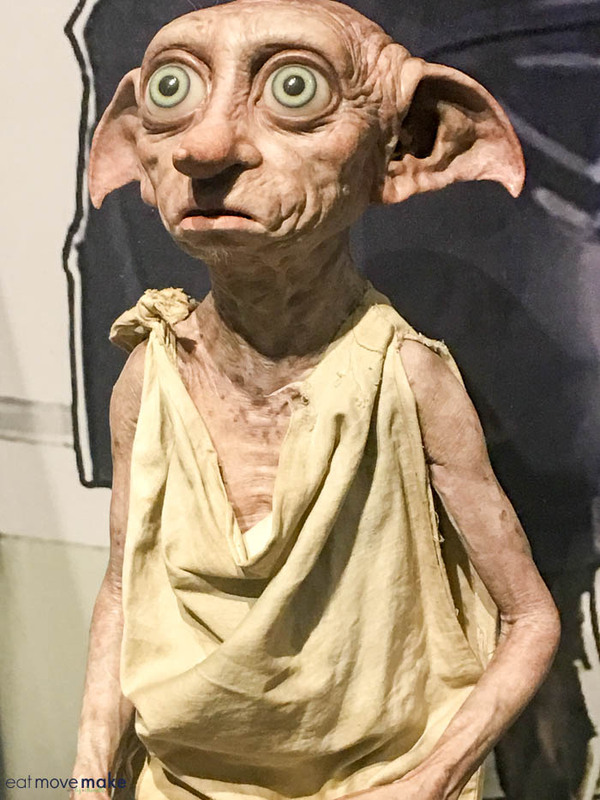 It’s also great that you also got to enjoy Harry Potter at Universal Studios. I love all my Swiffer products, which make cleaning so much easier! I love that photo with the dog. Too cute! Love my Swiffer but my middle kid. I will prob have to send this kid to college with a Swiffer. He makes sure the kitchen is swiffered (yes, that’s a word) every night and without asking. Go figure huh.?! A teenager doing chores voluntarily. WE used to lose a swiffer a lot but haven’t in a while. 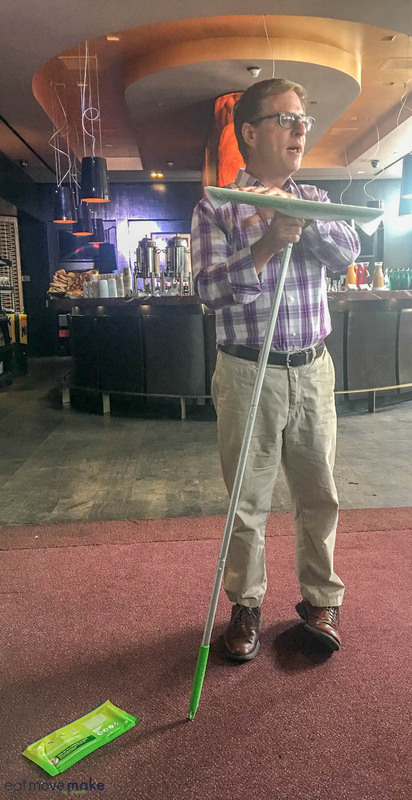 Ive been old school mopping! I haven’t used Swiffer in years! We had the Wet Jet floor system, as well as the duster system. We loved using them! I was just on a blog trip this weekend with someone who is a Swiffer ambassador. Never heard of Tinkerbell before…until she told me. Love Swiffer around my home! I think I need this Swiffer! My house is so dusty all the time because we have a lot of dirt outside and it’s coming in with the dog. I am definitely going to check this out. This looks like a fun time! I love my Swiffer products as well. I own many of them. I especially enjoy my Wet Jet! I use that daily. Looks like you totally enjoyed your time with a great group of people. I use swiffer products and love the floor cleaning ones okay and the dusting ones. What a fun event! I’m addicted to Swiffer and have so many of their products. I’m looking forward to checking out the new, bigger Swiffer. That sounds like it was a good time. We love our Swiffer, so I would have really enjoyed being able to get a look at everything Swiffer is doing. OMG, that’s so much fun! I can’t get enough of that dog standing on the blinged out Swiffer. That is too adorable! This looks like it was such a fun event! 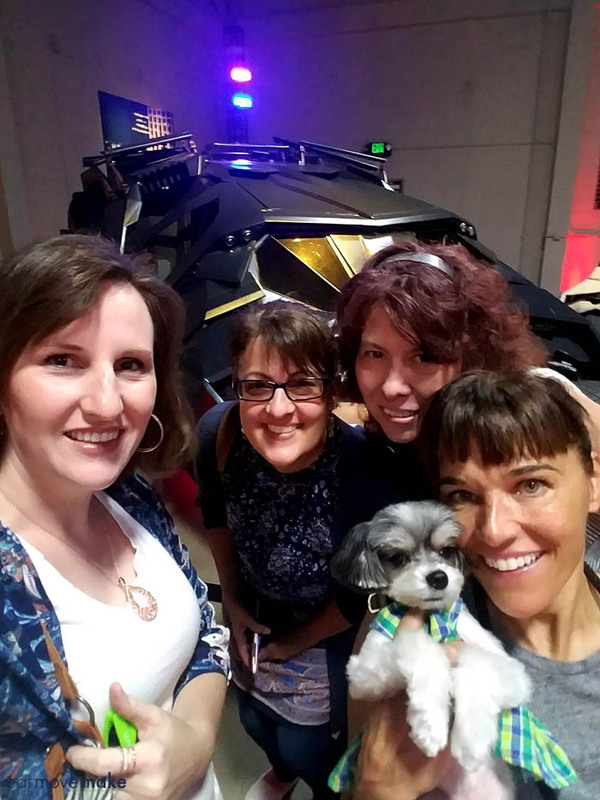 I love to hang with my fellow bloggers and learn about new products. Wow- this looks like it was such a fun event with a fun group of women- That bling Swiffer is something we need here. Our Swiffer stays out year-round!